This easy-to-use Nanny Tax Guide will help guide you through nanny taxes and household payroll and ensure you receive all the benefits you deserve from paying your nanny legally. Although nannies are the only type of household employees mentioned in this guide, the information applies to any household employee you may have. Household professionals include nannies, babysitters, caretakers, private nurses, cooks, gardeners, and other similar domestic workers. The main difference between an employee and an independent contractor is that an employee operates under the control and supervision of his/her employer (you), and a contractor retains all control over himself and his services. For example, a nurse who has her own company and comes by once a week to provide medical services to an aging parent is a contractor; a nanny who cares for your children in your home is an employee. For more information, refer to our blog post and download a helpful checklist. The Social Security and Medicare wage threshold is $2,000 for 2016. This means that if you pay a nanny at least $2,000 for 2016, you are required to report and pay Social Security and Medicare taxes on that nanny’s 2014 wages. 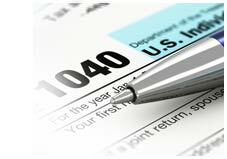 For more information refer to IRS Publication 926. 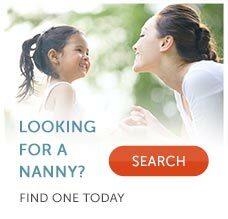 Use our nanny tax calculator to help determine your nanny tax. Use our nanny tax calculator to help your nanny determine what his/her nanny taxes will be. According to the Federal Labor Standards Act, all nannies must be paid at least minimum wage ($7.25, although higher in some states); however, benefits such as room and board can account for a portion of that wage. There is no limit to the number of hours a nanny can work – provided there is mutual agreement. However, overtime may be required in your state. Paid vacations, holidays, and sick days are not required by law. Please note that several states and cities raised their minimum wage requirements in 2016 – review this list to ensure you are compliant. Most states require household employers to carry a workers’ compensation and/or disability policy if you employ a nanny on a full or part-time basis. These policies will cover you from lawsuits and liability in the event that your nanny is injured on the job. If your state requires this, you can either contact your state’s insurance fund or your homeowner’s insurance company. GTM strongly recommends that even if you’re not required to have a policy, you should obtain one anyway. Read more about the benefits of a Workers’ Comp policy for your nanny, and see a list of workers’ comp requirements by state. You can pay your nanny with pre-tax funds through an employer-sponsored Dependent Care Assistance Program (DCAP), if your employer offers this plan. This plan allows you to set aside up to $5,000 (2016) per year of tax-free money that you can use to pay for your childcare or eldercare. Contact your company’s Human Resources department for more details. For those who don’t have access to DCAP, they can claim the Child and Dependent Care Tax Credit (Form 2441) on their personal income tax return at year-end. You can claim up to $3,000 of the un-reimbursed qualifying child care expenses paid in a year for one qualifying individual or $6,000 for two or more qualifying individuals. The credit can be anywhere from 20% to 35% of your qualifying expenses. What are the Benefits of Paying Nanny Taxes and be "on the books?" Save Time: Save an estimated 60 hours per year. Peace of Mind: By complying with current employment regulations and limiting your exposure for a possible audit. Save Money: By paying nanny taxes, you may be eligible for Dependent Care or Childcare Tax Credits. Avoid and Save: By avoiding tax liability and eliminating penalties, interest, or unnecessary legal fees, you save money! For additional information, read more about Managing Nanny Taxes and Payroll, or Contact Us today!